You are now at: Home > Travel News > What Do You Do in The Tour Hanoi Halong Bay? 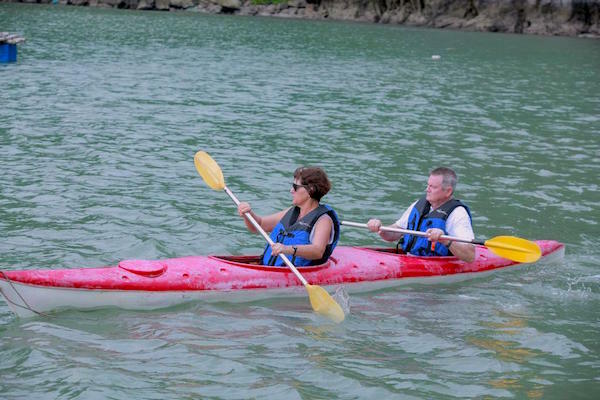 What Do You Do in The Tour Hanoi Halong Bay? Hanoi is the capital of Vietnam which has accumulated to the huge of culture and long-time historical sites that attract a lot of tourists nationwide. And other famous destination in Northern Vietnam is Halong Bay which is one of the world’s natural wonders recognized by UNESCO. Therefore, if you combine these places in the tour, you will have an awesome trip when coming to Vietnam. Of course, to get the satisfaction of the trip during 3 days, you need to know what you do and where you visit Tour Hanoi Halong Bay. Today, we will give you the detailed answer for that question. 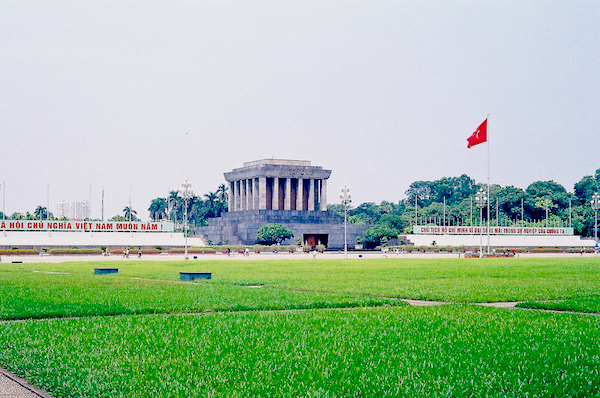 The famous Ho Chi Minh complex combines his Mausoleum, former residence, the impressive house around, his garden and the One Pillar Pagoda which you should visit. Next, Hoan Kiem Lake called Turtle Lake is a central place of Hanoi capital attracting locals and tourists throughout a half day. Hoan Kiem Lake is situated inside a complex of Ngoc Son Temple, The Huc Bridge, and Pen Tower. The other place in Hanoi Old Quarter is night market where displayed shopping-wise, the fashion items including inexpensive t-shirts, handicrafts, accessories, shoes, sunglasses. Therefore, you feel free to buy souvenirs with low price. Nearly the night market is Ta Hien Street where foreigners should not miss in the trip in Northern Vietnam. When you come here, you not only know the culture of Hanoi but also enjoy some street-foods including beer. You should spend 92$ per person to buy the ticket of seaplane company. Join the tour Hanoi Halong Bay, you will have a chance to grace the beach during 25 minutes. However, you must apply a group above two people in each of trip. 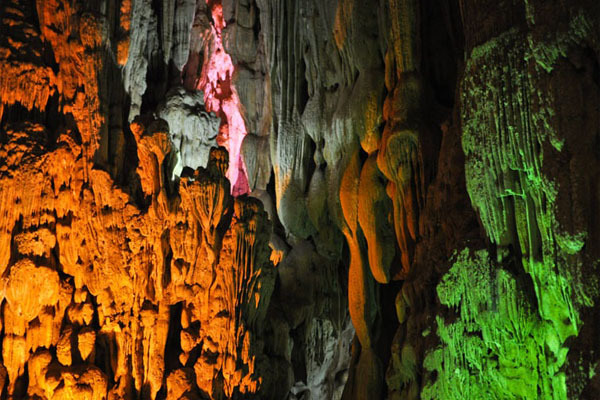 Surprising Cave called Sung Sot Cave is located in Bo Hon island in the central area of Halong Bay. The cave is known as a large cave and the most beautiful of cave in the bay. Otherwise, this cave is famous by the unique formation of stalagmite with special shapes in anywhere of cave. Sung Sot cave is divided into two main chambers. The first chamber is a big theater immense and cave's ceiling is covered with a layer of stalactites hanging down with various shapes, colors and sizes. To approach the second chamber, you need to pass the narrow ways to see a completely new and strange landscape, vast cave’s chamber can contain thousands of people as a theatre. Continuously, you go to the highest point the door of cave, you completely take a view of Halong Bay and take a nice pictures of halong bay from high point to keep the memories. Next, There are two couple caves on Halong Bay are Trong cave (Male cave) and Trinh Nu cave (Virgin cave). Trinh Nu Grotto called Virgin Grotto is situated on Bo Hon Island, the same location with Luon Cave and Sung Sot Cave (Surprise Cave). Visiting Trinh Nu Grotto, you will feel some impressions with a stone shaping a lying-girl with her long hair hanging down, looking to the sea with the eyes full of vain hope. In the story of fishmen, Trinh Nu cave is their house on the sea, and this is the eternal symbol of love for couples. Situated opposite to this cave, Trong Cave has a stone statue of a boy who turns his face to Trinh Nu Grotto. Especially, Trong cave is a best place for interesting dinners in a natural cave, with lights and candles, the mellow love songs, and music performances... by its high walls, wide and airy spaces. Immense water surface in Ha Long is home to a number of water sports such as rafting and swimming. If you love adventures in the tour Hanoi Halong Bay, you can try water motor driving offered on Bai Chay or Tuan Chau beach. While high speed of the water motors brings about adventurous moments and it gives you a bird-eye view to spectacular scene of the bay below. Besides, spacious underwater world in Halong with diversified marine creatures is a paradise for snorkeling and scuba diving. Otherwise, this place is good idea for sunbathing or relaxation but also for energetic sport activities like beach volleyball or football. Sun World Halong Park is the new park which is attracting a numerous foreigners by some interesting experiences. 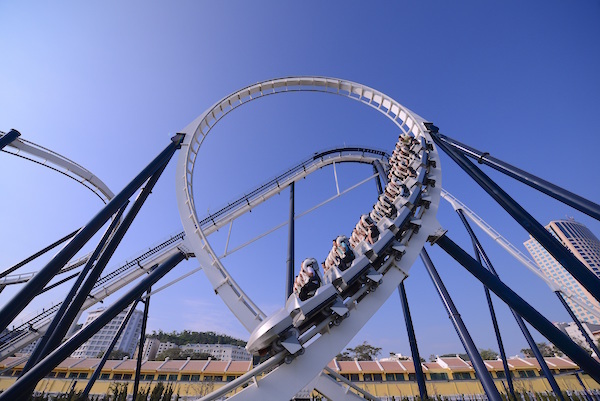 Sun World Halong Park is an entertainment complex with Vietnam’s largest theme park. You can get a perfect look of Hon Gai Port, Bai Chay Bridge and the entire of Halong Bay on the other side from above. Sun World Halong Park is created very suitable for all ages. For example, the young are convenient to choose many games in the center and adults can relax by going for a walk in Zen Garden. One of the highlights visitors must visit in Halong Bay Tour is the Sun's wax museum. Here, the visitor can take a photo with the best famous persons in the world like Obama, Lionel Messi, Michael Jackson, Spider-Man and so on. Hanoi: There are many famous foods in Hanoi you shouldn’t miss when coming here like Bun Cha, Xoi Xeo, Bun Thang, Banh Cuon, … Or you can come to some restaurants where cook the foods for almost foreign customers to enjoy the traditional meals. Halong Bay: Many special foods of Halong Bay have become famous brands, such as Halong squid sausage, Cai Rong fish sauce, Halong Bay Lobsters, Fried Sea Snails With Chili Sauce and Hoanh Bo Soaked Rice. What Is The Best Halong Bay Beach? How to Get The Best Tour of Halong Bay Islands? How to Get the Best Vietnam Itinerary 10 Days? What Is The Best Halong Bay One Day Tour? How to get the memorable Halong cruise tours?